Attending a sporting event has never been more expensive. From tickets to parking to food. It’s not getting cheaper for you to attend a game. Add in the ‘new normal’ economic situation of slow growth and higher than average unemployment and you can see why there are more empty seats at games than ever before. Take the Seattle Mariners. A middle of the pack baseball team in the AL West. 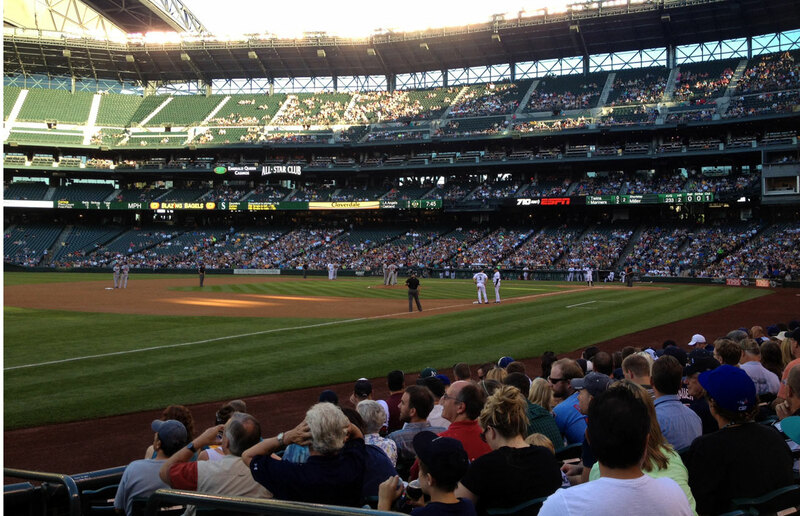 Sections are closed off and seats are left empty during a recent Thursday night game against the Minnesota Twins. The Mariners signed a regional sports TV deal earlier this year with an estimated value of $2 billion over 17 years. The Thursday game had 18,135 people. Is the fan at home more important, more profitable than the one at the game? Is the person on the couch at home more important than the one at the game? Are butts in the seats really all that important? The answer seems to be yes and yes. Not many people can imagine Alabama’s stadium half full. Nor can people imagine the Mariners selling out 81 home games. Therein lies the balance between the person at the game and the person at home. Both are fans and both “pay” for the right to watch their favorite team. The one at the stadium is contributing to the team by buying a ticket, food and a beer while the person at home is supporting by sitting through commercials in a day and age where it’s very easy to skip over them. Is it cheaper to stay home? Yes, and it’s more convienet. The flip side to that is if the atmosphere is horrible at the game because no one is there, will that cause the person at home to change the channel? Some of these questions do not have immediate answers. In some cases there is no right or wrong answer. One solution may very well be to downsize stadiums. This would keep the atmosphere and at the same time allow people to attend. But do you see Jerry Jones shrinking Cowboys Stadium? Should They Call It A Career?